Nicaragua: Why Were There 15 Days of Protests Without Deaths from April 23rd to May 10th? 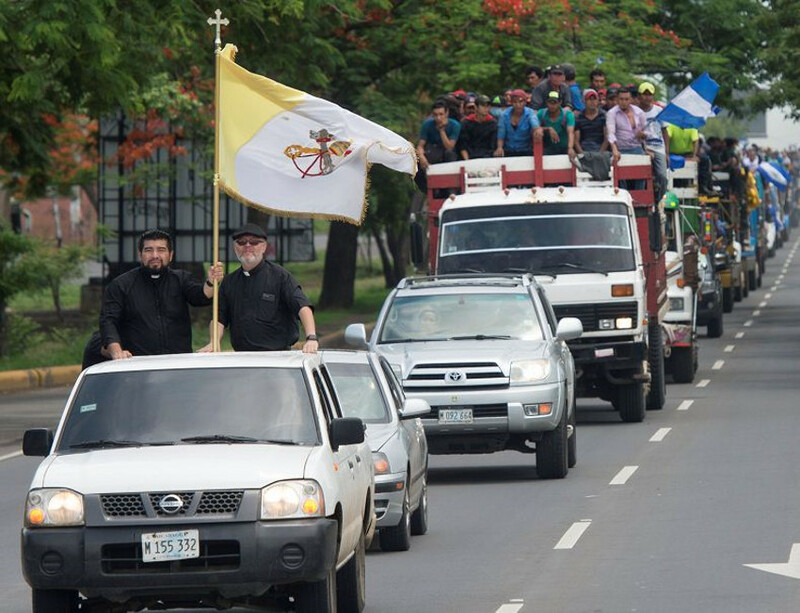 Between April 23 and May 10, in a period of 15 days, three major protests took place: April 23, “Walk for Peace and Dialogue” convened by COSEP; April 28, “Pilgrimage and consecration of Nicaragua to the heart of Mary” convened by the Catholic Church; and, May 9, “National March for Justice and Democratization of Nicaragua” convened by the Movement for Nicaragua and the April 19 Student Movement. Fortunately, none of the three demonstrations reported clashes or deaths. However, during the 15 days referred to, there was no decrease in violence in the vicinity of some university campuses, especially the Polytechnic University of Nicaragua (UPOLI), the sector where on May 8 a man returning from his job was killed by a hand-made weapon, shot in the neck. However, it was after May 10 that there was an increase in the number of Nicaraguan brothers and sisters killed. fortunately no deaths were reported. The graph was fed with information from CENIDH, CIDH and ANPDH reports. Why suddenly did deaths start to occur again and with much greater frequency after those 15 days? Was it that the “Civic and Peaceful Struggle” without deaths was not having the same effect? To overthrow a government it is necessary not only to have the support of the population but also the support of the international community and the best way to obtain international support is accusing a government of “genocide”. The human rights organizations (CENIDH, CIDH and ANPDH) would be in charge of this – their main task was to inflate the death lists in order to obtain national and international condemnation of the Government. Although we are clear, that even for those days, the opposition had not unmasked their agenda of a “soft coup”. In the UPOLI, which was already taken over (by April 23), there was recruitment and regrouping of young people, of whom very few really had a clear vision of their socio-political objective, and who, after a short time, defected fr reasons of conscience, and like the UNEN (Nicaraguan National Union of Students), affirmed that groups that were in the UPOLI were being financed and armed by the MRS (Sandinista Renovation Party). However, by then those who dominated the UPOLI were mostly criminals, drug addicts, gang members and delinquents. 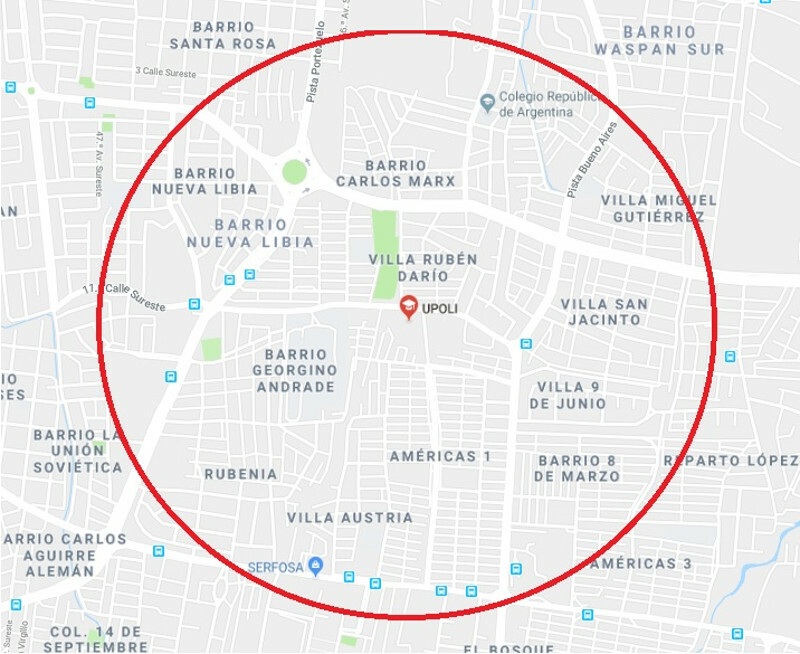 The 15 days signified the organization of those in the UPOLI into a base of criminal operations, establishing an internal hierarchy and strengthening the roadblocks and checkpoints within the security perimeter around the UPOLI that affected more than ten neighborhoods of District VI of Managua. Perimeter where the UPOLI had control of roadblocks and checkpoints in order to move freely and commit illicit acts. The role of the anti-government Rural Workers Movement (Anti-Canal) during their first two times in Managua was to participate in the national march (April 28 “Pilgrimage and consecration of Nicaragua to the heart of Mary” and May 9 “National March for Justice and the Democratization of Nicaragua “) and use the opportunity to make an apparent plan of action against the Government. On both occasions, as well as on further visits to the capital, these rural workers used the Metropolitan Cathedral of the Immaculate Conception of Mary of Managua as a command post. Having finalized their plans, on May 10 they left Managua for their communities of origin, but many remained on the highway to begin building roadblocks nationwide. This was publicised the same day they left Managua in a local newspaper: “The anti-canal campesinos who are at the roadblock are the same ones who participated in the March for Peace in Managua“. San Pedro de Lóvago, Chontales was the first roadblock built, and then they spread to other municipalities. to their municipalities after participating in a march. Photograph from May 31st. Added to this, the organizations that had been protesting (COSEP, AmCham, FUNIDES, MpN, IEEPP, FAD, among others) won enough time to organize themselves and be able to identify/create “university student leaders” to be presented as the face of the university community. And in another scenario, which in the end was demonstrated to be coordinated with the other organizations, the Episcopal Conference accepted on April 24 to mediate the National Dialogue but it wasn’t until 20 days later that they set a date for it to start. Why did the Episcopal Conference wait so long to start the National Dialogue? If the Episcopal Conference was really clear about the urgency of the National Dialogue, it was unjustifiable that they allowed 20 days to pass before beginning the Dialogue. The only thing that period of time allowed was for feeling to be exacerbated in the streets, and for the anti-government opposition movements to regroup, as explained before with the UPOLI and the role of the anti-government Rural Workers’ Movement, groups that were in charge of creating chaos and destabilization in the country. Also remember that the Rural Workers Movement was always in communication with the Catholic Church, had its command post in the Managua Cathedral, and was protected by the Episcopal Conference. By the time the opening date of the National Dialogue was announced, the opposition Rural Workers’ Movement had already set up roadblocks in at least 20 municipalities in Nicaragua. Apparently, the opposition did not want to present itself at the National Dialogue without having an element with which to exert pressure against the government.